The day has come where Google has opened the product ads product to all U.S. advertisers. 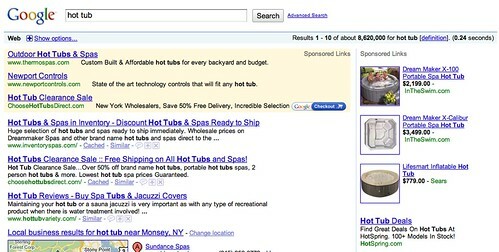 Back in January 2008, Google began testing product (base) results in ads. They continued the test in October 2008 with expandable links to these ads. Then in February 2009, the ads became very well seen by many searchers. In May they tested one line product links and in August they tested open product ads. In April, I wrote how to get product images in AdWords ads. Keep in mind, some of these campaigns were not CPA driven, like the one I mention above. Previous story: Google Drops "Search within results" Search Box?